The Professional Regulation Commission (PRC) recognized the top performing examinees who garnered the highest ranking in the March 2016 licensure exam for teachers (LET). Michael Prince Notorio del Rosario from Lorma College topped the Secondary level LET with 92.00-percent grade. 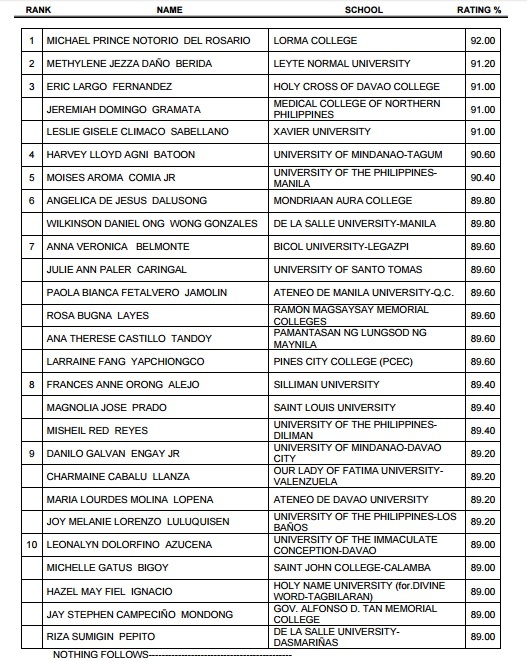 Leyte Normal University alumna Methylene Jezza Dano Berida ranked second with 91.20-percent grade.